Galatians 6:9-10 And let us not be weary in well doing: for in due season we shall reap, if we faint not. As we have therefore opportunity, let us do good unto all men, especially unto them who are of the household of faith. Michael W. 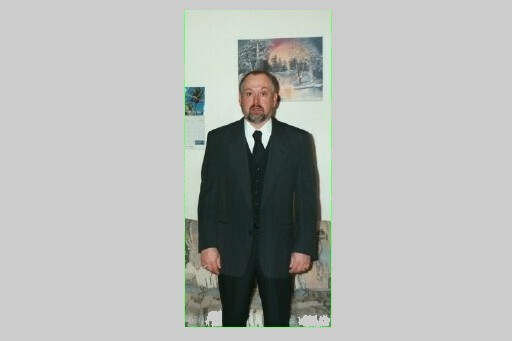 Neal., D.D., Ph.D.
Michael Wayne Neal ( In Hebrew מִיכָאֵל / מיכאל) was born to John and Betty Ray (Clouse) Neal, is their only child. Bishop Neal was born in the city of Richmond, Kentucky on October 5th 1957, He Attended School in Lexington, Kentucky. Bishop Neal grew up on Campbell Lane in the Cadentown area. He finished High School in 1976, and continued his education by training in the field of an Electrical Contractor. He has gone on to receive his Doctor of Divinity on May 1st, 2004. In addition, a Ph.D. In 2008. He has received many Awards & Accolades. God started Dealing with him at a young age of 22 with dreams of The Blood and Water, and His Word (In the form of the Bible) with his mom and dad being saved and baptized in the name of Jesus and receiving the Holy Ghost in 1979 he knew just where he needed to go & what he needed to do, He went down in the name of Jesus and was washed in his Blood. . He was Baptized in the name of Jesus on 8-3-1980 at Soul Deliverance Tabernacle (426 Ash St) Lexington; Under the Pastorate of the (Late) Bishop Lucian Dell Booker, Sr (then Elder Lucian Booker) of the Pentecostal Assemblies of the World (P.A.W.) Received the Holy Ghost (with evidence of speaking in other tongues) on 8-7-1980. Brother Neal served in this church as a Prayer Leader & Guitar Player and work in the church in Street meetings, and Food truck to serve the area neighborhood and raise funds for the church. He was ordained 1-12-1990 by the True God Apostolic Church in Lexington, under the Pastorate of Pastor B. Sparks. He is the pastor of The Jesus Christ Apostolic Tabernacle Church in Richmond, Kentucky where he lives. He believes in doing all things in the Mighty Name of JESUS. He is married to his wife Donna Jo (True) Neal whom he married 10-24-1989. In 1991, God lead Elder Neal to organize a Jesus Name Organization where everyone could fellowship and have membership with one another, to have an organization for the independent churches and Pastors, Ministers to have refuge. So the (JCAMI) Jesus Christ Apostolic Ministries was formed and founded to give that refuge, it belongs to “Jesus” first and then to the Members second. The JCAMI took 14 years but became International in 2005, and became the Jesus Christ Apostolic Ministries International. The JCAMI has growed from just two states in the USA (Ky & NC) to many US states and many International Counties in just 18 years. Bishop Neal serves as the Presiding Bishop of the JCAMI & is the Pastor of the Jesus Christ Apostolic Tabernacle Church, He has 4 children, and 6 Grandchildren and Three Step-Children and four Step-Grand-children. He has many years of Being washed in the blood of Jesus and having the spirit of the Holy Ghost, He truly Loves the lord Jesus & his Brothers and Sisters. He has gone from having no brothers and sisters to having 100’s. The Lord has made a great change in his life, has given him a very loving wife, and has given him the name above ALL NAMES THE NAME OF JESUS...”Jesus Said if you Love Me Keep My Commandments" and that is what Bishop Neal strives to do each and Every Day. God is a Spirit and those that worship him MUST Worship him in Spirit and In TRUTH. He Stands On The Name Of Jesus And The Power Of His Blood, When so Many have turned their Backs on his name and have taken Blood Songs Out Of The Church Body. We are here to do ALL things "In The Name Of Jesus" and that is what we will do! The Love that Jesus Christ Has showed to Bishop Neal is so great, no matter what he does, He could never repay Him. He is so, so, great...Bishop Neal believes in and makes use of ALL the Gifts of the Spirit. He has had visions that have come true the same way the Lord gave them to him, the same day. God has not changed and will never change the same things the Lord did with, and for the Apostles he still does and can do for Us! Today.